I have a vivid memory of walking home from school and getting near to my house – 600 E. Illinois Street – and seeing my mother rush across the street to be home when my brothers and I arrived. My mother had been at Cristal Parker’s – our neighbor across the street. They had been praying for their children. Of all the many wonderful qualities that my mother has – praying for me is the one that means the most to me. I am so thankful to have a mother that STILL prays for me. I had two grandmothers that prayed for me as well. On Mother’s Day we as mothers may be asking ourselves – “am I the kind of mother I should be?” We may be hard on ourselves and think ” I am not this way….I am not that way…” making mental lists of our deficiencies. We women can be so HARD on ourselves. 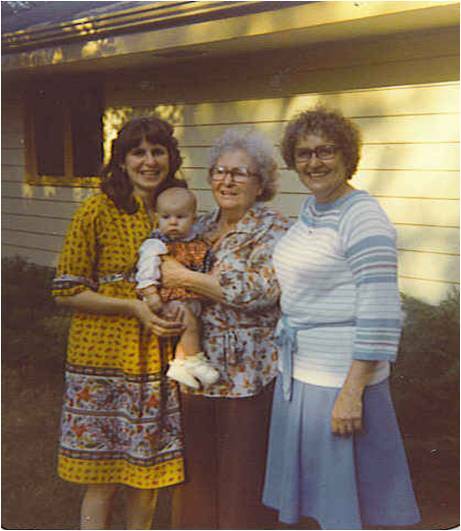 Yet of all the things my mother and grandmothers did for me – praying for me is of the utmost value. Thank you , Mom, for continuing to pray for me even as you reach your 87th year. This entry was posted in Being a Daughter, Being a Mom, Grandparenting, Parenting, what is MOST important and tagged Christian parenting, faith, Motherhood, Prayer. Such beautiful words…brought tears to my eyes…thanks so much for expressing your heart! Dear Lois, thank you for those kind words. Blessings to you.